Seth and Liz Moulton at the Salem Gay Pride Parade. 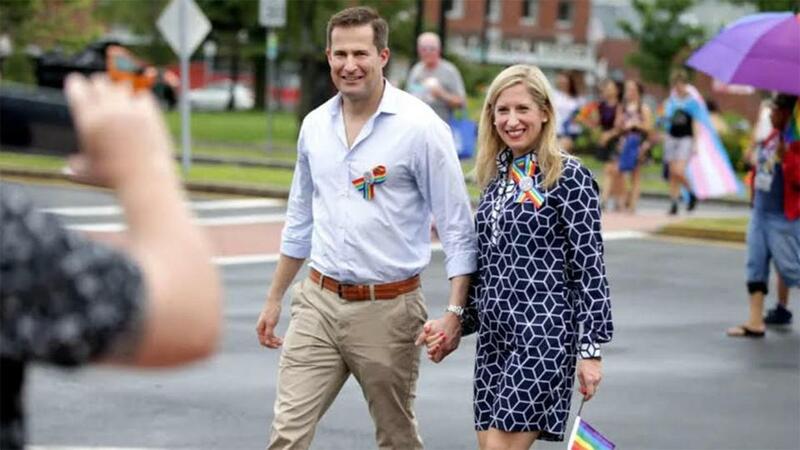 Congressman Seth Moulton and his wife, Liz Moulton, have welcomed the arrival of their first child — a baby girl named Emmy, he said in a social media post Friday morning. This past Father’s Day, the couple used the occasion to announce on Twitter that they were expecting. Shannon Larson can be reached at shannon.larson@globe.com.